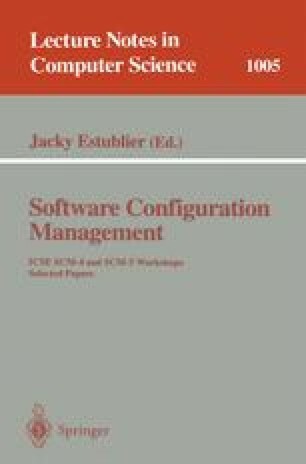 For a software configuration management system to support large-scale development efforts, it must address the difficult problem of geographically-distributed development. This paper describes the rationale and design of Atria Software Inc.'s ClearCase MultiSite™ software, which extends the ClearCase® configuration management system to support geographically-distributed development through replication of the development repositories. This paper considers alternatives to replication and discusses the algorithms used by ClearCase MultiSite to ensure replica consistency.